Get ready to enter into the spa resort that will make you forget the outside world! 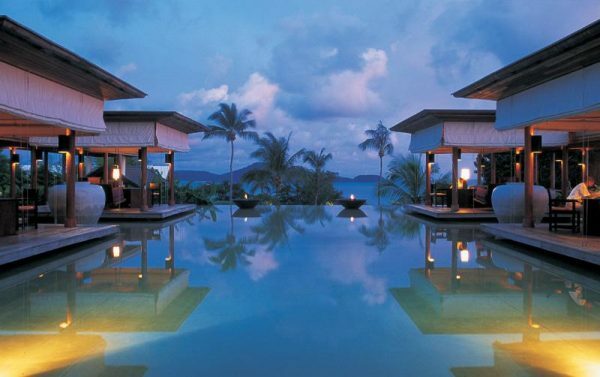 Yes, this is the magic of the Evason Phuket that is a luxury featuring all rejuvenating charms in form of three pools, a full-service spa, and a private island. Evason Phuket is invigoratingly set amidst the lovely landscaped tropical gardens as well as parklands from where it overlooks the Andaman Sea rendering its room niches to offer you the sea views. This elegant resort believes in the philosophy of Six Senses of uncompromised liability towards the environment due to which all its extensive series of personal amenities as well as services are inclined towards it. Now, it goes without saying that the service standards here aim at guaranteeing attention to the friendly atmosphere. At the Evason Phuket, a long tail boat acts as a complimentary medium to take one to the resort’s private island in just 15 minutes. This is the Bon Island that is naturally adorned in clean turquoise waters and white sandy beaches rendering it a paradise for swimming and snorkeling. And finally, the best part of this resort is that all types of travelers such as families, singles, seniors, ladies’ groups, and couples can enjoy here optimally. There are 259 rooms and 46 suites scattered in its five towers of two floors. No matter which you choose from the range of Evasion Deluxe to Family Pool Suite 2BD, Evason Phuket & Six Senses Spa is the home to the air-conditioned suites and guest rooms in a verdant tropical setting where all offer private balconies. The common amenities in the rooms and suites include: DVD player, pay movies, private bathroom, bathrobes, designer toiletries, complimentary toiletries, hair dryer, mirror, slippers, sofa bed, premium bedding, cotton sheets, mosquito netting, pillowtop mattress, pillow menu, daybeds, balcony, ceiling fan, air conditioning, climate control, access via exterior corridors, direct-dial phone, voice mail, phone, minibar, coffee/tea maker, complimentary bottled water, wired/wireless high-speed internet access (surcharge), wake-up calls, housekeeping, turndown service, in-room childcare (surcharge), welcome amenities, in-room safe, television, desk, opening window, iron/ironing board (on request), cribs, double sink, satellite television service. 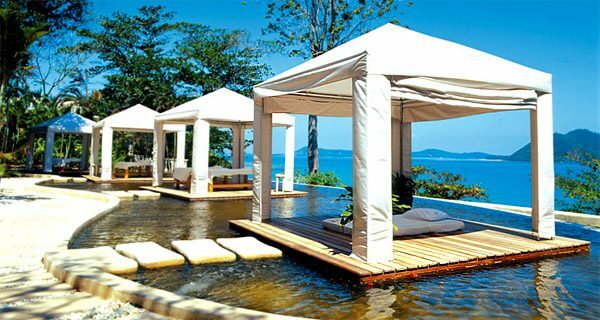 At the resort’s Spa, the main highlights are Thai Journey with Thai massage, foot acupressure, and tropical facial treatment; Body Refiner including mild scrub with white clay as well as jojoba and moisturizing treatment; Jet Lag Recovery offering the balancing treatment of scalp and body massage, herbal teas, and aromatherapy. There are six here: Onto The Island Restaurant is named so because of its location on the private Bon Island where you can Thai and European dishes in lunch amidst the casual ambiance. However, the main restaurant here is Into The View offering American and Asian breakfast buffet along with the buffet dinners as well as a la carte with live entertainment every evening. 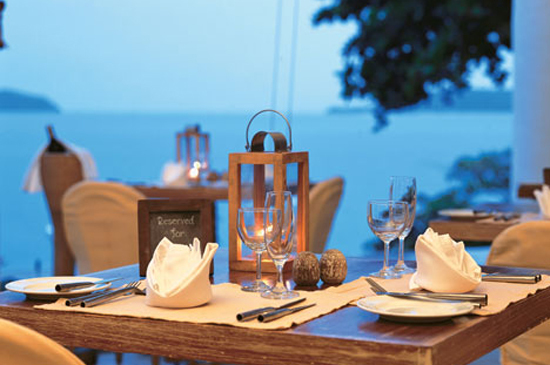 At the sea-view restaurant named Into The Thai, it is very obvious toe make out that Thai cuisine is the top pick here. However, dinner is not offered on Tuesdays and Fridays. Into The Beach serves casual dining items at the beachside from where the sea’s and island’s views are stunning from late morning till late night. 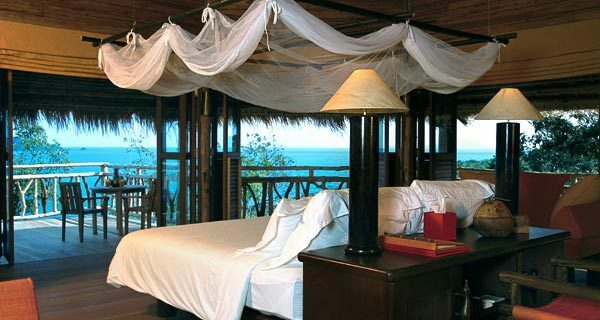 Besides, the resort provides a lobby lounge and 24-hour room service.